When faced with a specific situation we would like to change, it’s best to acknowledge the current situation as it is and then ask questions from the space of neutrality. Do not align or agree, resist and react, or judge it and get emotionally caught up. Instead… be in the question and be in allowance and non-judgement of what is showing up and ask a question that allows you to be open for it to change and make a new choice. In the moment you can say, “Ok, now what’s next?”, “Ok, now what’s possible?”, “Ok, what would it take for something better to show up?” to keep you out of conclusion. 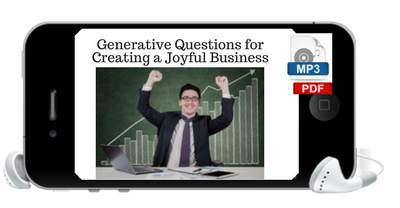 If you think the idea of asking generative questions to shift your reality is too simple, click here to read this story. It’s a powerful tool to play with in your life, but also be mindful not to go into it with specific expectations like “fixing a problem” because that is just a judgment that will cut off your awareness and keep you stuck. 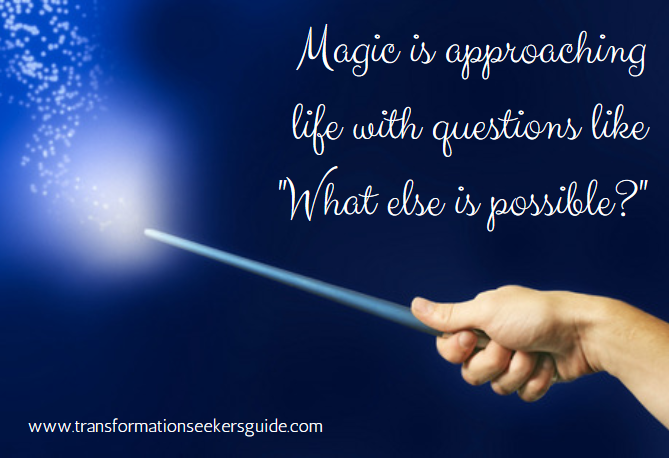 This practice takes persistence and a commitment to you to continue to ask questions and become more aware, and clearing energies that aren’t you, as you continue to choose more and more with the universe to create the magic. As you are getting into this new habit, you may struggle to find the words and often can’t think of what to ask or ask questions in such a way that it isn’t expansive and doesn’t come from a lightness, but there is a special easy to download tool that can help you! 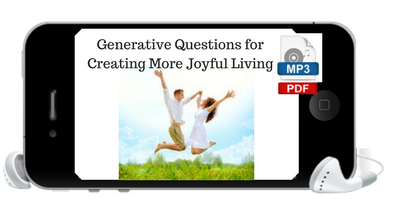 After listening to and playing with the Top 20 questions free download, then check out the entire Generative Questions Audio Series of themed questions all done-for-you, specifically designed questions to help you Create a More Joyful Business, Create a Joyful Body, Find Love & Create a Phenomenal Relationship, Receive More Money With Ease, a Create a More Joyful Life & Future and more! 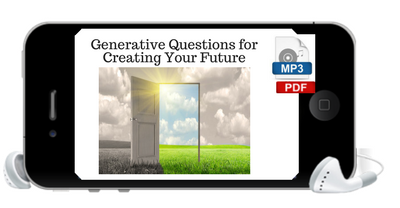 Each includes an audio recording with over forty (40) generative questions that are designed to easily download and play on your mobile device anytime you choose to focus on creating something greater in a specific area of your life. Play the MP3 on your smart phone or download it to your computer and add it to your playlist. Be in a vibration of expansion and lightness when you’re in the creative mindset of child-like wonder and curiosity, excited about what the future can bring, and find a moment to really focus on something you want to change - kind of like a meditation. Spend 5-20 minutes listening to each question in the recording – pause time is included so you can breathe into it and open your mind. Sense the lightness you feel in just hearing each question, if you sense a heaviness it's a sign that you may need to clear away some resistance or negativity - that's when you can use the clearing statement to quickly shift the places that judgement or conclusion may be creeping in. Engage your imagination to really WONDER and remain open to receiving ideas of what action you might take next, but be patient and avoid having expectations of specific outcomes. What if listening to these audio loops could truly change your reality? Will this choice make me happy? Will choosing this create more ease in my life? Will this be a contribution to my life? If I choose this, what will my life be like in 5 years? What other questions can I ask that would create more clarity for me? Will this choice be rewarding? What can I choose today to make my life greater right away? over 40 questions all on a repeatable loop! What would it take for something even better to show up? What needs to change here in order for this to work for me? What question am I not asking here that would change this? What's it going to take to change this with ease? What would it take for people who want to pay me to show up in my life and in my business? Who can I contact today that would love to buy my products and services? What action can I take today that would expand my business right away? What can I add to my life today that would create a greater future for me and my business? 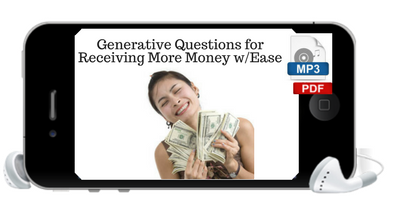 What would it take for more than enough money to show up with ease? Who else can help contribute to the expansion of my money flows? Who else do I know that would like to hire me and pay me for something? What would it take to have more gratitude for the money that's already supporting me in my life? I wonder how much joy and fun I could have today? If I were truly creating my life today, what would I create right away? What gratitude can I be for my life and my living today? What would it take for me to allow the universe to truly work for me? 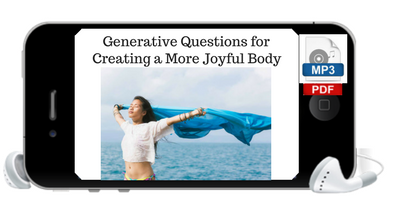 What choice could I make today to have a more joyful body right away? What would it take for me to receive the information my body is giving me with total ease? What would it take for me to be in total non-judgement of my body? What if I could honor my body’s true gift of greatness is every way? What would it take for me to choose to have a better relationship with my body ? I wonder what I could choose that would create a greater possibility for my future and my life? What future can I create with the choice I make today? 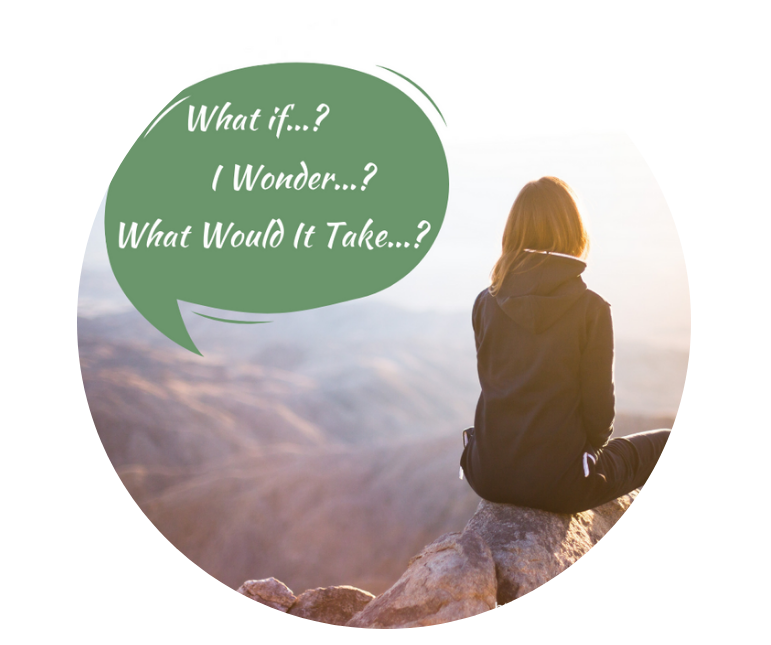 What would it take for me to create a future I would REALLY like to have? What does the future I desire to create require of me today? 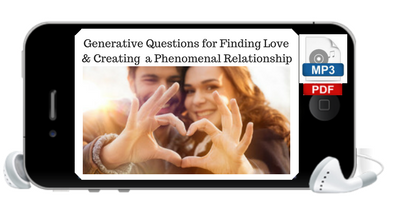 I wonder what choice I could make today to receive a phenomenal love right away? How can I expand my capacity to find the best partner for me? What would it take to find a love greater than I ever thought possible? Where do I need to put my energy today to create a greater relationship right away? 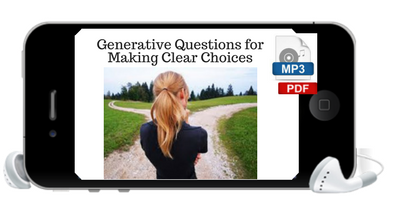 Over 300 questions, pre-recorded, downloadable, looped audios - All done for you! 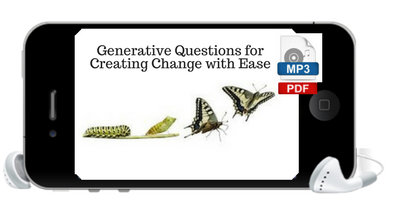 "Generative Questions for Making Clear Choices"
Important Note: The Generative Questions Audio Series was inspired by Access Consciousness® but is not directly related to the tools of Access Consciousness® created by Gary Douglas nor does it include The Clearing Statement™.